Richard de Pridias, Lord of Prideaux was the son of Nicholas. He lived through the reigns of Henry II, Richard the Lion heart, John and Henry III, the latter being famous for pointless wars and extortionate taxation. He was however, one of the greatest patrons of medieval architecture such as Westminster Abbey and Salisbury Cathedral. He also contributed to the Oxford and Cambridge teaching establishments. Many Prideauxs have made use of these establishments including John Prideaux Bishop of Worcester, the subject of one of my books. Richard worked alongside his father, learning and following the ways of keeping one’s head enough above water to float, but hidden enough so as not to draw unnecessary attention to ones self. In order to increase tax revenues as discussed in the last chapter, King John chartered four Stannaries in Cornwall in 1201, Fowey moor, [Bodmin] Blackmoor, [Hens barrow and Pridias] Tywarnhaile [Truro to St Agnes] and Penwith with Kerrier. 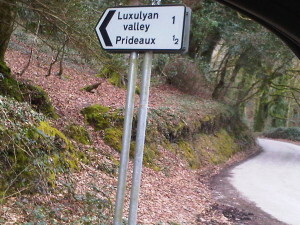 The manor of our ancestors was now called the Manor of Prideaux of the Priory of Tywardreath. It seems likely that this was the only land they held as they are not mentioned among the Chancery or Exchequer records upon death. The Prideaux holdings would have only had local interest and none to the Crown with regard to any death duties or similar. But, now it was becoming more difficult to keep the land farmed and looked after. The rights of the tin miners, who had to answer to no Lord except the Warden of the Stannaries, meant that the landowners began to suffer financially and the accepted ways of the villeins and master no longer applied. 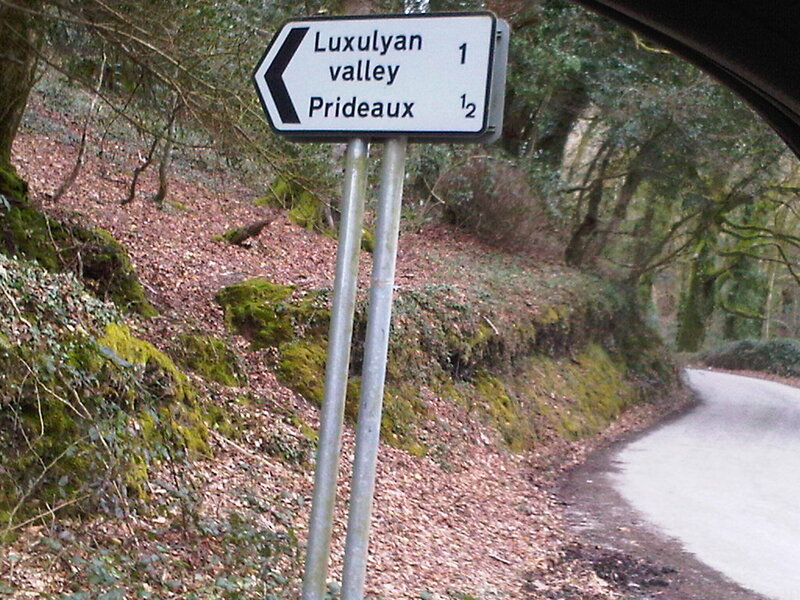 It seems more than likely that the Lords of Prideaux were losing money fast and by the time Richard’s grandchildren arrived, the two younger boys needed to leave Luxulyan for good and try and make their fortune elsewhere. 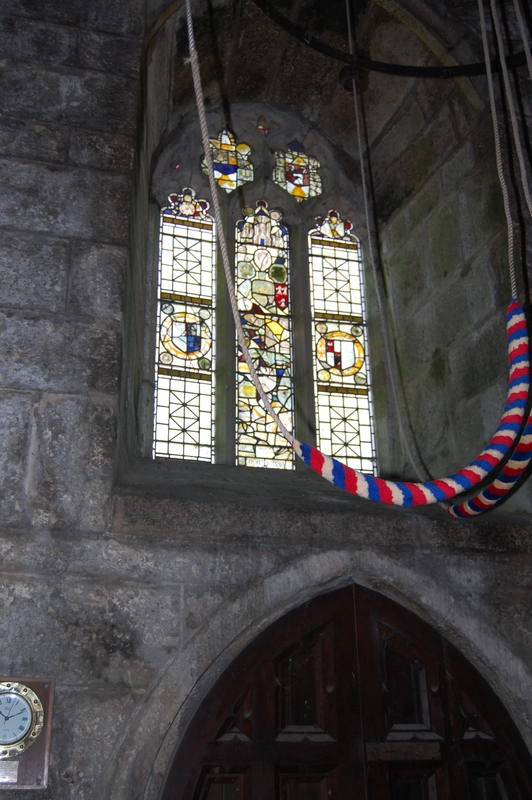 Stannary records, charters and the tinners seal were kept in the tower at Luxulyan church for several centuries. They are not kept there now. 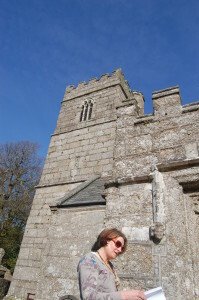 On one research trip, we drove to Luxulyan church with the intention of looking for any gravestones, which might be relevant. It was still raining, that soft rain which completely soaks a person, but does not make them cold. Probably very goods for the skin I should think. We went off in different directions around the churchyard, trying to cover as much ground as possible in a short time. Richard is used to me doing that as I have always seen how much I can fit into as little time as possible. We still recall, upon discovering that there was only eight minutes left on a car park ticket while shopping in Shrewsbury when he was a boy, that we had plenty of time to look around the museum there. So, we scampered around, saw the mammoth and all the trimmings and were driving back through the car park gate, ticket still in time. I always tell him, that as we don’t know how long we have to live in this life, we have a duty to see how much can be packed in. Trust me, it’s a lot. Anyway, we only found a couple of graves, but I could not reconcile whose remains they housed, as they were more recent than the time I needed to research. Seeing a light on in the church, we ventured in. I love seeing a light inside a church, the way it becomes altered and coloured through the stained glass, it is disappointing when you go in and find no one there. This evening we were not disappointed. Opening the huge door, we were met with the sound of voices and laughter and there sat around a large table were a group of lovely ladies doing flower arrangements. They all looked up and smiled and welcomed us and told us to come in from the rain. A lady to the left of the door was standing by a smaller table and appeared to be making tea. We asked about Prideaux graves and were told exactly where some had been seen and there was plenty of what appeared to be genuine interest shown in the quest. One lady showed us the old stained glass window in the bell tower which related to an ancestor. It was now in the west window of the tower and bears the remains of an original stained glass window showing the representations of the arms of Prideaux. I was told that I must say Pridducks and not Preedo as I had always pronounced the name. This is difficult as other relatives in Leeds tell me I must say Priddo. I figure that I shall say what I want. We carried on passing the time of day, looking around the church and were told that the bell ringers would be here soon if we wished to stop for that. We thanked them and declined the offer. Those ladies were genuinely nice and there was no hint of annoyance about the arrival of strangers on a rainy evening in May. I am convinced that if churches were living buildings and one could be sure to find a friendly face and voice in them, they would be fuller on a Sunday. In the village I grew up in, we had to go to chapel and church. There was Sunday school and ordinary school events held there and everyone knew each other. Seems romantic I know, but I am not that old and it all changed so quickly. Where I live now, we struggle to get any people to any villagey events organised and although many pay lip service to the need for a community spirit, few seem willing to do much about achieving it. I feel for these ancestors of mine, striving hard from generation to generation and worrying how to make money and raise a family and then get sick and die. One becomes even more acutely aware of the speedy passage of time while researching ancestry. All those men and women, not doing something they want to because of the trouble it may cause or what the neighbours would think if they pleased themselves and it is all over so quickly. You must have all had the peculiar feeling of disliking someone and perhaps constantly battling with them and then they leave or die and you miss them. You miss the rows and the drama. They were part of your world and your story and now they are gone. Cherish even your enemies then. Apparently. So back to this lot, Richard died and left a son and heir. Richard. There is a record of a Robert de Prydyas witnessing a grant to St Stephen of Launceston, but it is not known whether this is our Richard, with an incorrectly written name, or a brother of his. 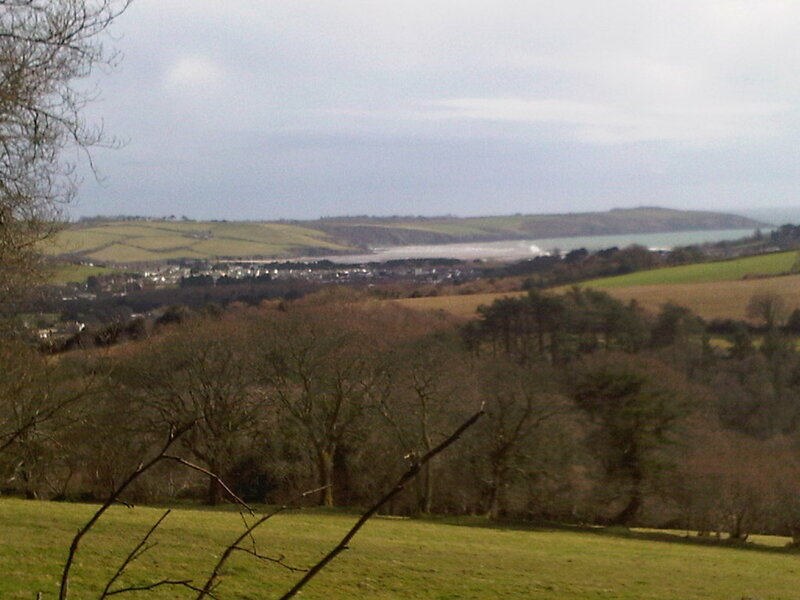 The family may have spent time fishing or sailing in the natural harbour with creeks and inlets creeping inland to the Priory at Tywardreath, St Blazey, through the marshy land to Trees mill, up the Polmear valley and almost reaching Lower Lampetho. Daphne du Maurier wrote a book about these times. The House on the Strand, English for Tywardreath. The harbour was a busy place, with fishing-boats and trading vessels tacking to and fro, fishermen casting their nets. The ferry was rowed back and forth all day and into the night allowing travellers and locals to cross to Par. With geological changes, the level of the ground rose and the harbour which once had fifty or sixty feet of water at high tide, became sand and shingle. In 1773 the tide still reached St Blazey Church, and even up to 1800 the high water reached one mile north of Par. I wrote about this in more detail in prior blogs. 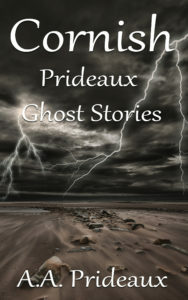 More can be learned about Richard in the story The Jousting Lords in the book by A A Prideaux entitled Cornish Prideaux Ghost Stories.